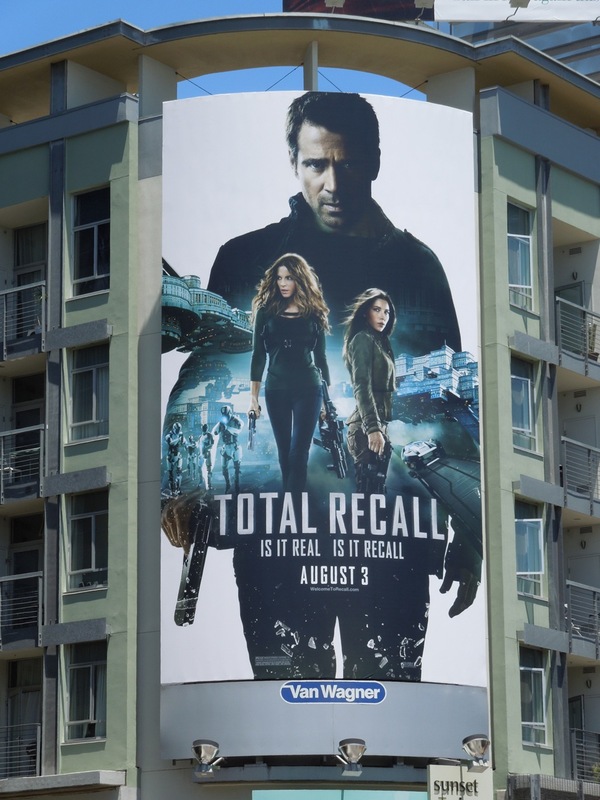 Is it real, is this deja vu, or just Hollywood running out of ideas again? 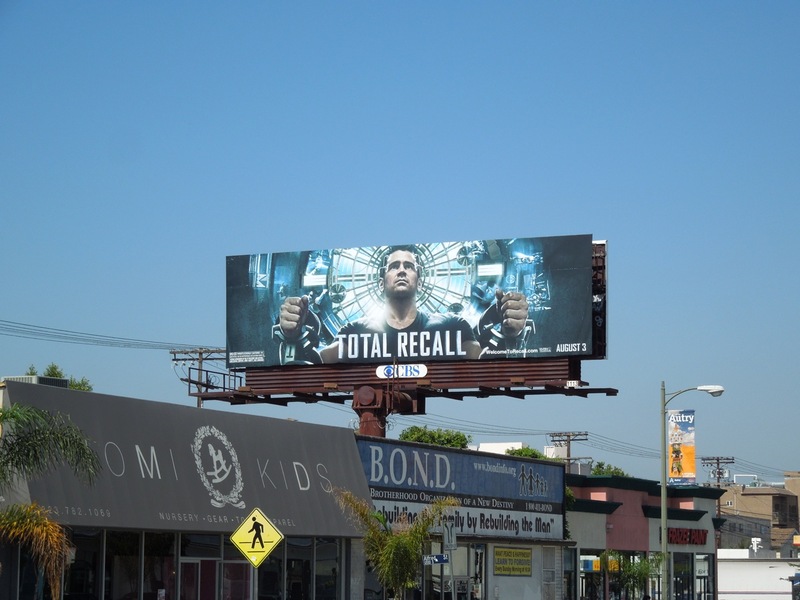 There's nothing like a movie remake to garner attention, so enjoy these cool billboards for the new Total Recall film starring Colin Farrell, Jessica Biel and Kate Beckinsale. 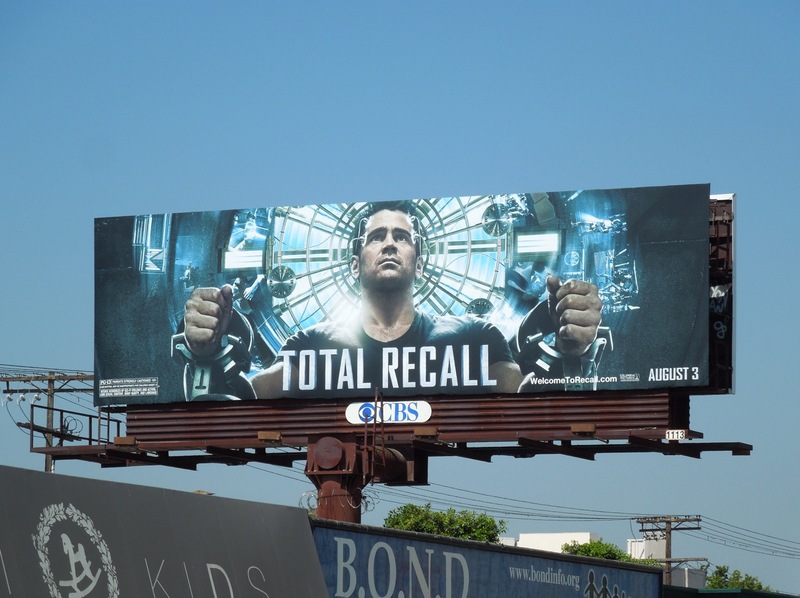 It seems almost criminal to remake this much beloved 1990 Arnold Schwarzenegger sci-fi action movie, but at least these billboards are not afraid to embrace the science fiction themes of this futuristic film. 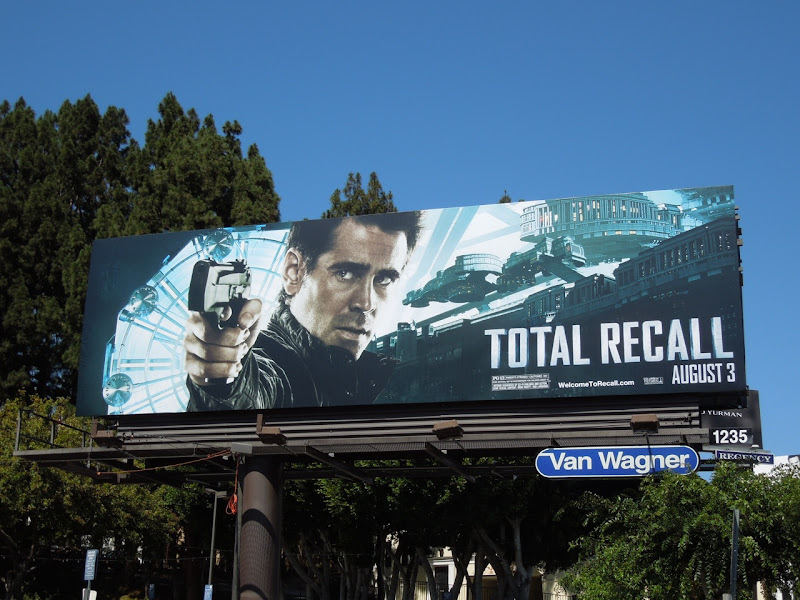 In the movie Colin Farrell plays 'Doug Quaid', a dissatisfied factory worker suffering from violent nightmares, who visits the 'Rekall' corporation to get some more pleasant memories implanted in his head only to discover his memory has already been erased and that he's actually a secret agent. 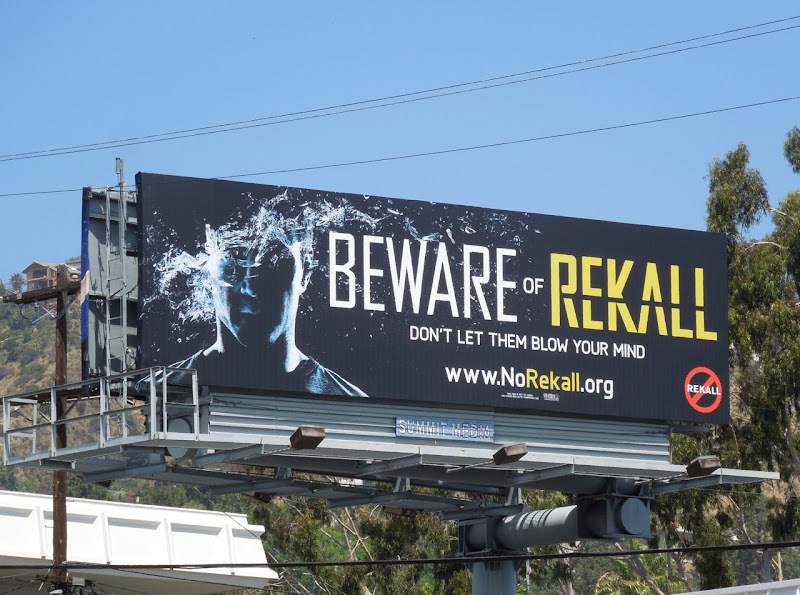 Along with the Total Recall creatives, this 'Beware of Rekall' teaser billboard spied on June 12 along Sunset Boulevard, plus a series of 'Tell us your fantasy. We'll make it real.' 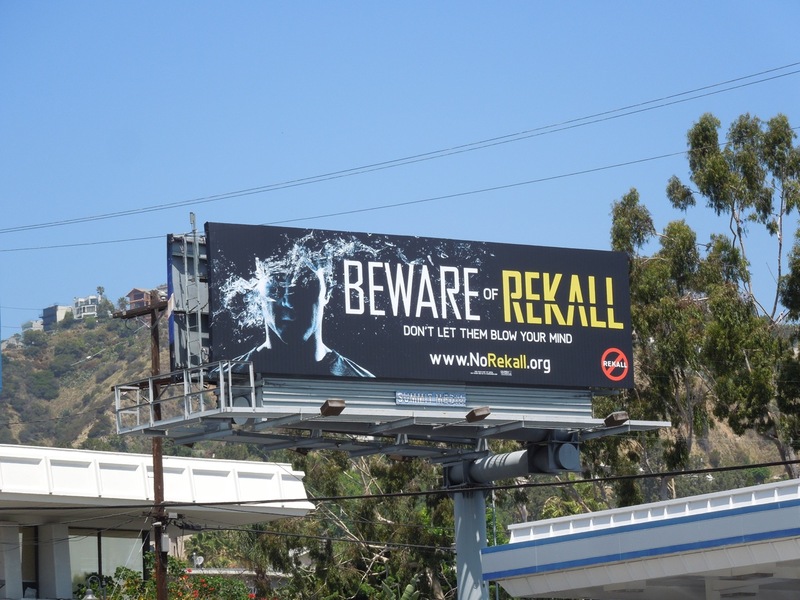 fly posters on behalf of the Rekall company were also used around L.A. to tease the movie and build excitement for the remake. 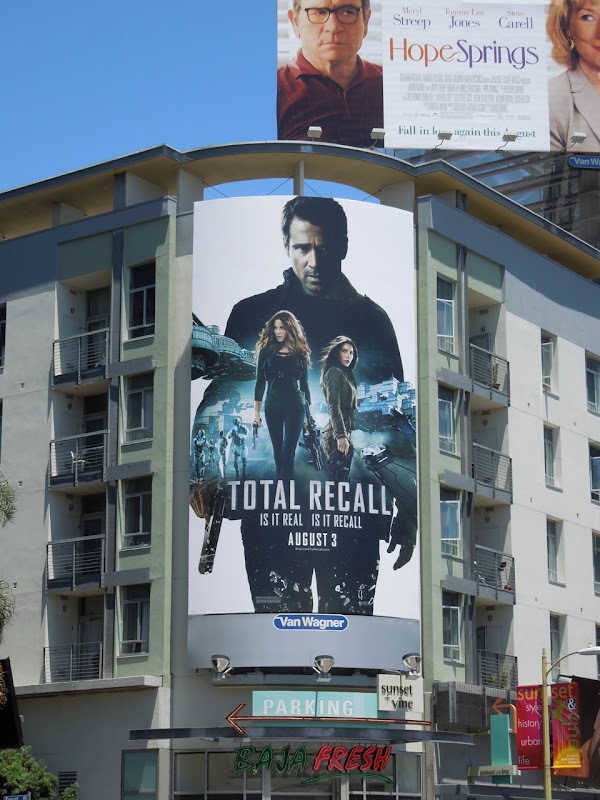 Let's hope we're not in for another year of disappointing, unnecessary remakes like last year's The Thing, Conan the Barbarian and Fright Night (which also starred a vampiric Colin Farrell). 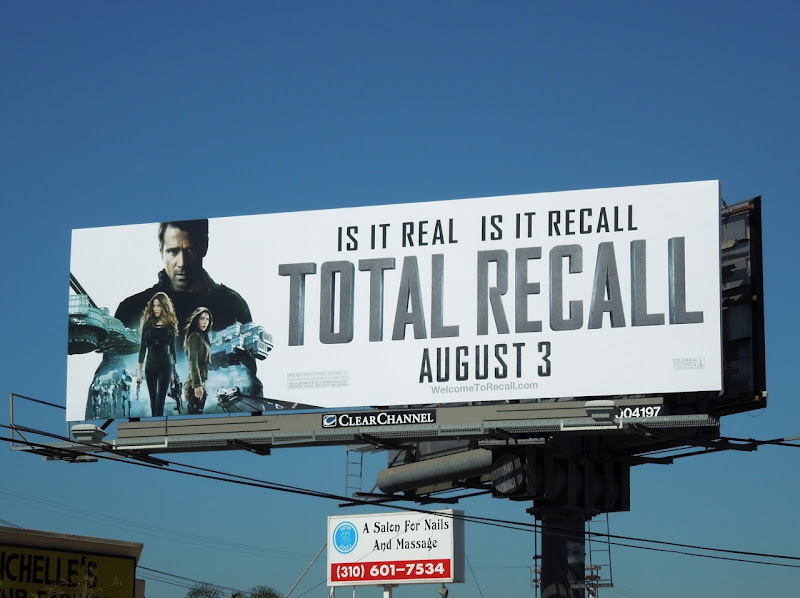 Instead let's look on the bright side and imagine this Total Recall version will in fact blow our minds and be as satisfying as the revamped Amazing Spider-man. The 'Is it real. Is it Recall.' 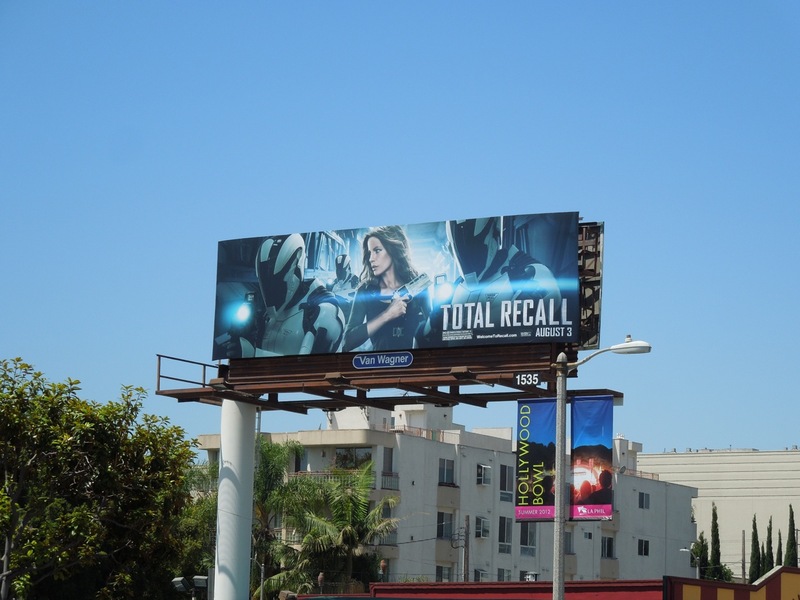 landscape billboard was snapped along L.A.'s 3rd Street, whilst the larger portrait version was snapped at Sunset & Vine. 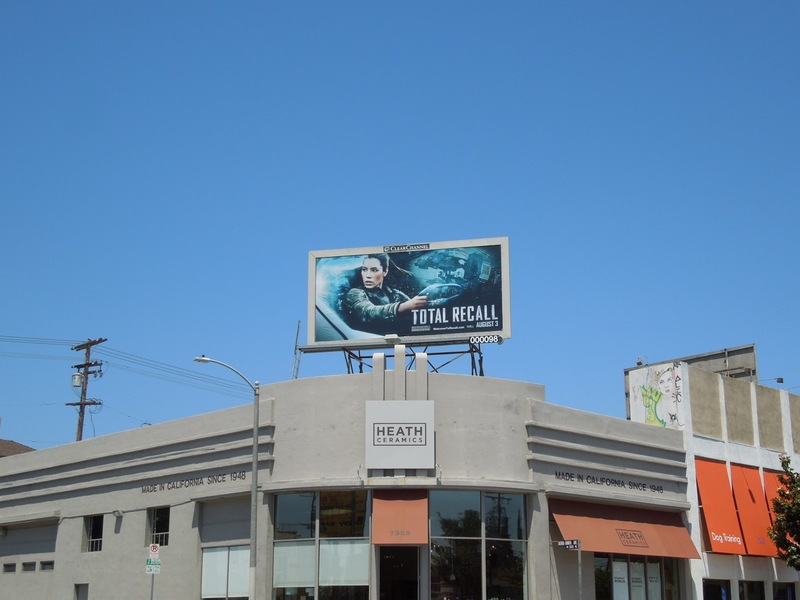 The Colin Farrell creative was spotted along Sunset Boulevard and the Jessica Biel version was photographed above Beverly Boulevard on July 19, 2012. 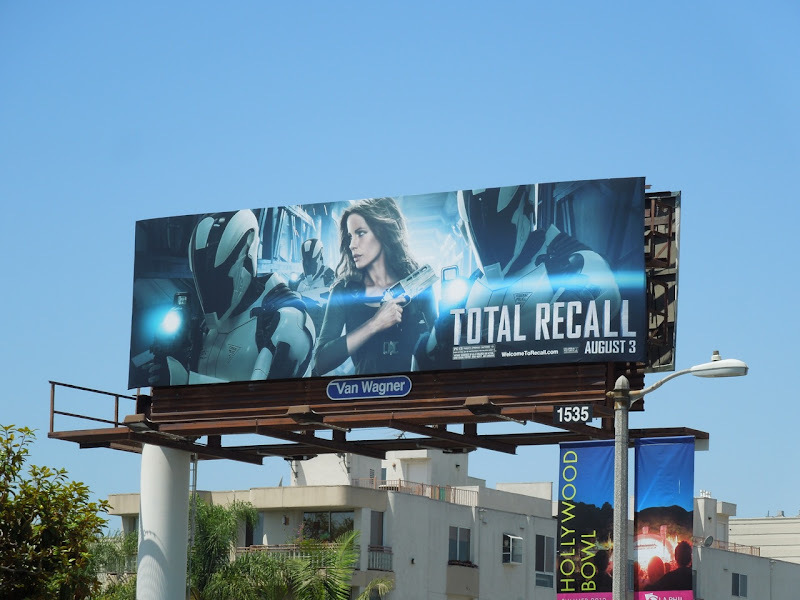 UPDATED: Here's another creative for the movie which unfortunately doesn't give Daily Billboard much confidence about this remake, don't those look like Clone Wars Stormtrooper ripoffs with Kate Beckinsale? And they say originality is dead. 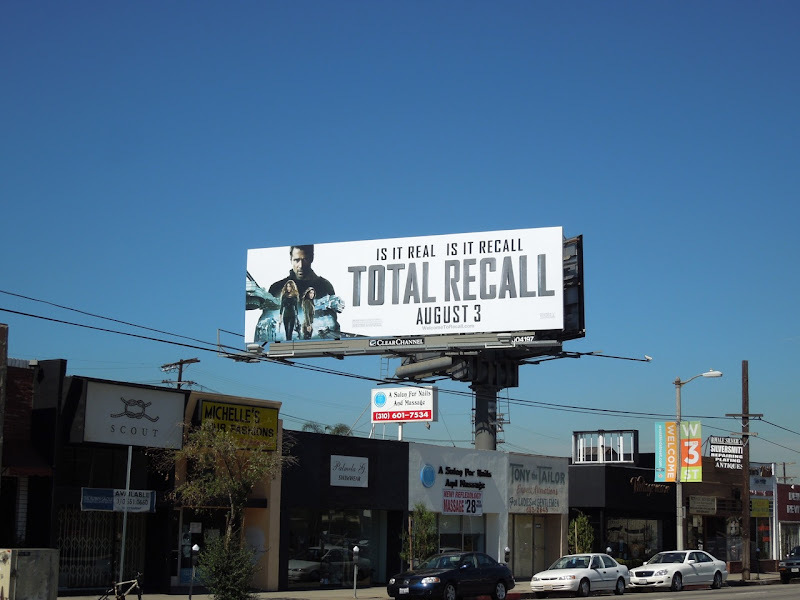 This Total Recall billboard was snapped along Beverly Boulevard on July 24, 2012. UPDATED: Now Daily Billboard thinks this creative is more like it. 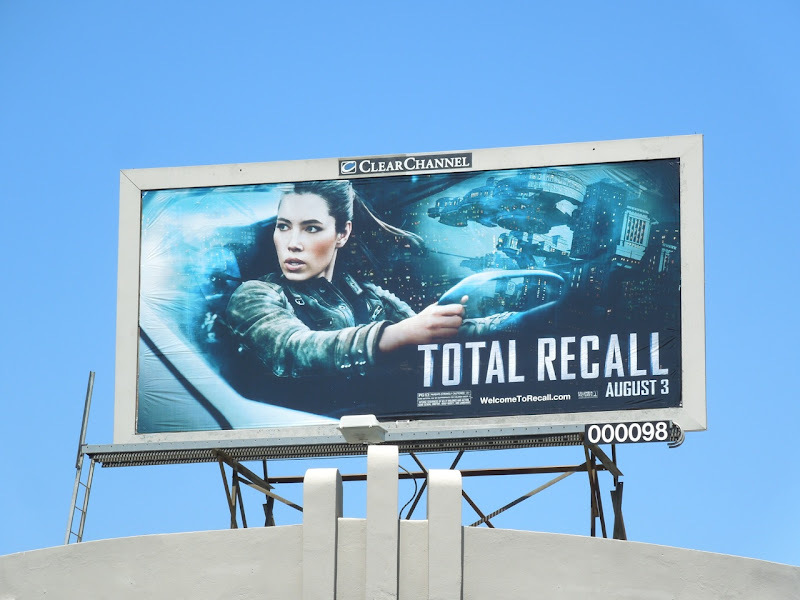 If you're going to do a remake, you may as well pay homage to elements from the original film with much more familiar Total Recall imagery. 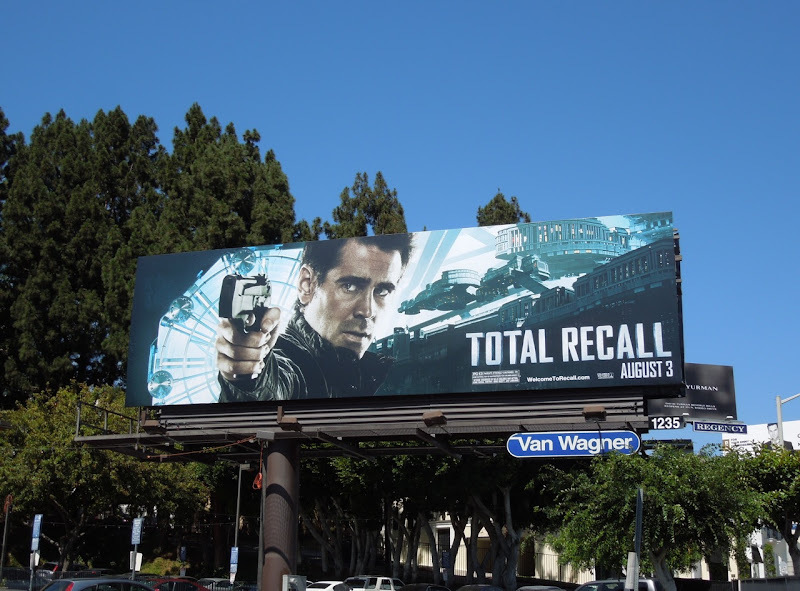 This billboard showing Colin Farrell strapped into a Rekall machine was spied along Pico Boulevard on July 26, 2012. 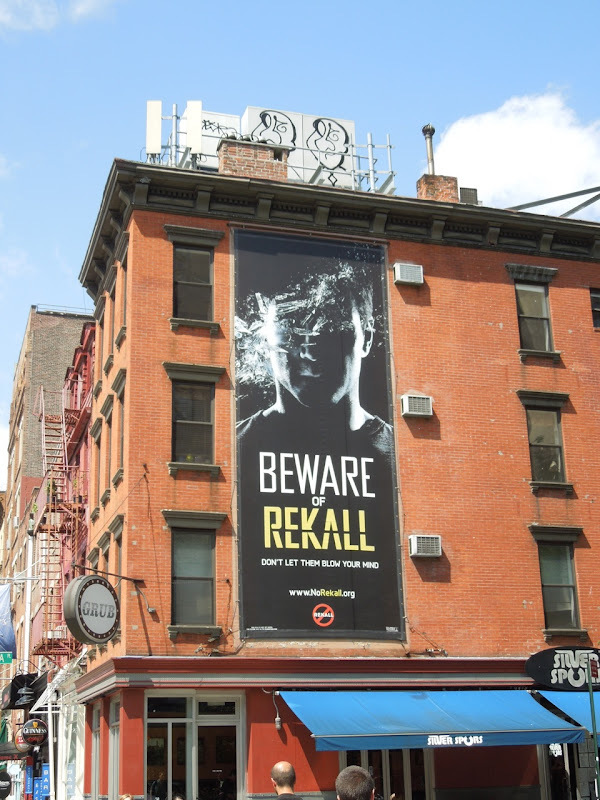 UPDATED: On a recent visit to New York City, Daily Billboard spied this Total Recall teaser billboard along West Houston Street in downtown Manhattan on August 28, 2012.